The CMC is designed to match the training and mentoring needs (and passions) of students with the community need for research. Through our model, interns develop employable skills and competencies for economic and social development and the digital economy, while community groups and civic governments advance their planning and policy processes, increase citizen engagement, empowerment and capacity towards more sustainable, prosperous and thriving communities. The content for this new Drupal 7 website was migrated from the old Drupal 6 version by Wendy Anthony during the summer of 2016. Wendy is experimenting with Leaflet, an open-source, interactive java-script based web mapping technology, learning to create responsive and mobile-friendly webpages, reviewing a variety of free IOS iPad apps for mapping, tracking, studying, and starting to learn the IOS programming language Swift, to learn how to make the apps she'd like to see! Miranda is a recent graduate from UVic. As a Community Mapping Intern, Miranda supported the event planning for the Common Ground Community Mapping Celebration and Institute. Throughout May and June Miranda will work on the marketing, usability and access to the http://crdcommunitygreenmap.cahttp://crdcommunitygreenmap.ca. With a passion for the environment Miranda pursued a Double Major in Environmental Studies and Sociology with a Minor in Business. Outside the world of academia Miranda can be found making jewelry, improv dancing and playing guitar. 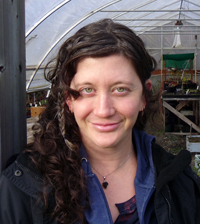 Miranda has worked for organizations such as the Moss Street Community Market and David Suzuki Foundation. Through her undergrad Miranda found many ways to get involved on campus. In one project called UVision, Miranda worked with a team of student leaders to ask the study body what they wanted to see in the 2016 Campus Plan. 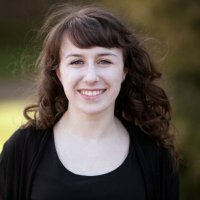 Miranda has also been an avid student blogger for UVic, focusing many posts on environmental sustainability on and off campus. Philip Kevin Paul is the youngest son of the Late Philip Christopher Paul, former long-time chief of Tsartlip Band and co-founder of The Union of BC Indian Chiefs and the National Native Brotherhood (now AFN). "Kevin," as he prefers to be called, grew up utterly surrounded by politics, culture, art and family. As much a fan of his mother as his father, "love and generosity" are the first words that come to mind upon hearing his monther's name: Frances (Elliot) Paul. Kevin Paul graduated with a BA in Writing and English from the University of Victoria and an MFA in Writing, also from UVic. In the early to mid 1990's Kevin worked with the Institute of Ocean Sciences (IOS), in Sidney, BC, in an effort to collaborate traditional Saanich knowledge with modern scientific "discovery." 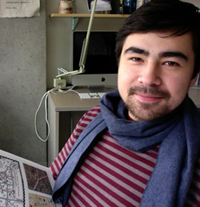 Through his work with IOS, he contributed to the completion of the first comprehensive map of Traditional Saanich territory. He has also worked as an instructor in UVic's writing departments, and a researcher with UVic and the University of Northern Texas in Linguistics. He published two books of poetry: Taking the Names Down from the Hill (Winner of the 2004 BC Book Prize) and Little Hunger (finalist for the Governor General Awards, Canada). He has travelled internationally delivering lectures on various aspects of Saanich Culture and performing readings from his books. He has several forthcoming books, including a new volume of poetry. He has had the same phone number and address his entire life. Back in 2011, Chris contributed to the Oak Bay Community Green Map as a research assistant, where he wrote content, amalgamated community surveys, and helped facilitate community-mapping exercises with various community groups. With excellent community mapping and consultation skills under his belt, Chris was hired by the CMC to work on the Capital Regional District (CRD) Community Green Map. His main role is to consult with First Nations communities and stakeholders to ensure proper representation. Chris has a special interest in how information spreads and the potential of group thinking, and is currently finishing his undergraduate degree in Creative Writing and Environmental Studies. Amy was the CMC's first intern in the fall of 2013. 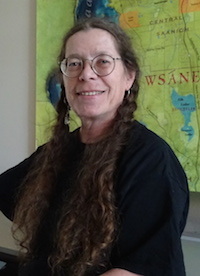 She helped get the Capital Regional District (CRD) Community Green Map off the ground by consulting with community members and stakeholders, writing content for and populating the map, and recruiting and managing the CMC’s volunteers. 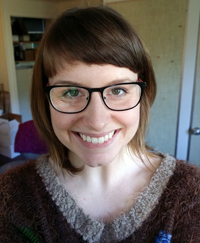 Hired for another semester in January 2014, Amy’s main roles are admin support, event planning, and website development support. She has a special interest in design and digital media and she’s currently completing her final semester of undergraduate studies in Anthropology and Professional Writing at the University of Victoria.